Hey y'all! I hope you have had a lovely weekend, the weather here the weekend actually felt like fall so that was great! Hoping to wear some fall clothing. 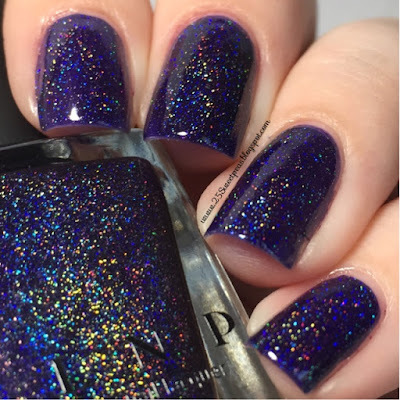 :) So this weekend I went to an event and nail art just wasn't working for me for some reason so I chose to finally swatch one of my new favorites, Lulu from the latest ILNP line. Now before I get into this post I am warning you, there are a lot of pictures! :) This polish is just too pretty and I did dwindle down the pictures believe it or not, this polish just has so much to it. 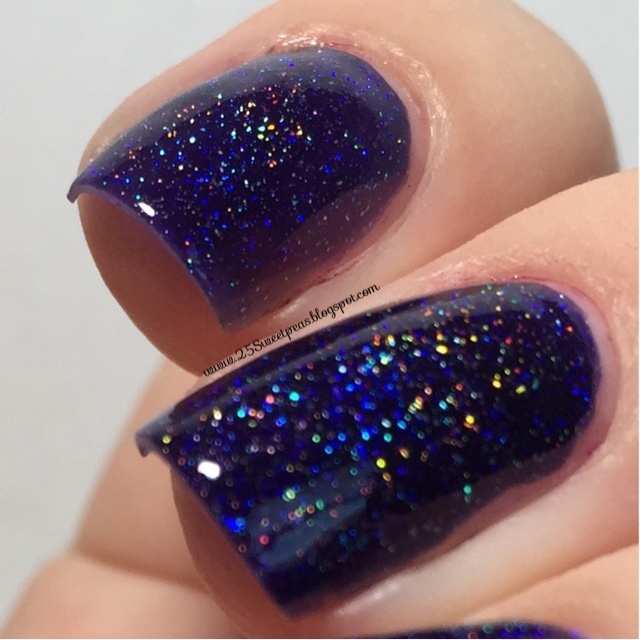 Just the simplest shift in position and it looks different and oh so amazing! So did anyone else get Lulu? I am so very glad I did! 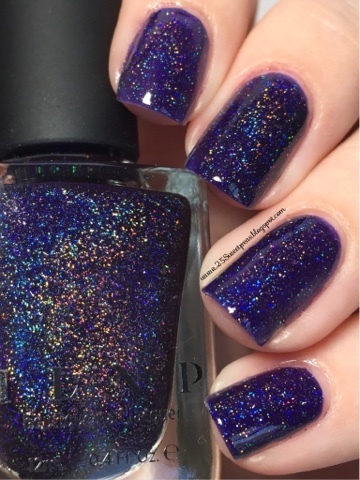 Every time I try a new ILNP I just fall in love with them even more! 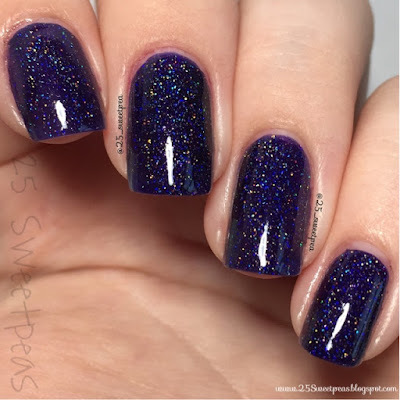 Seriously, I don't know if you all remeber but a few weeks ago I had a post like this one but for Clockwork also for the latest line and that wasn't even a color I would typically gravitate towards but Oh my! It's now going to be a go to for me. 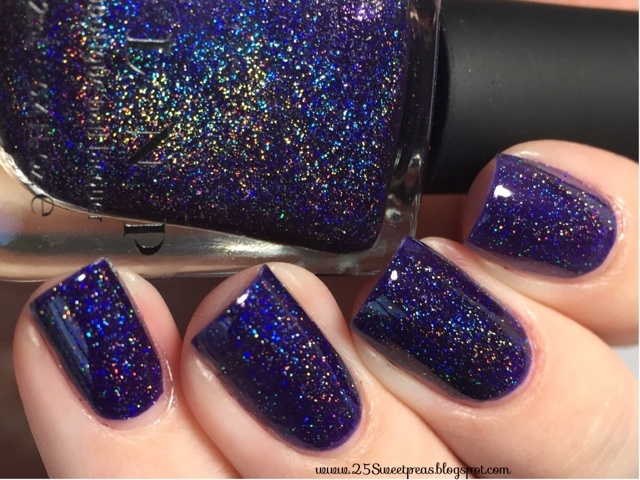 It's just so different, and unique and when I find such a unique polish I get so excited! Look at all the layers of glitter in this beauty, I mean how could one not love this. I will be honest, sometimes I will not put on glitter just due to the fact I know how much of a pain it will be to take off. Yet this polish is like taking off a creme, you would barely know you were dealing with a glitter. Picture overload like I said! Ha, there is still one more too! 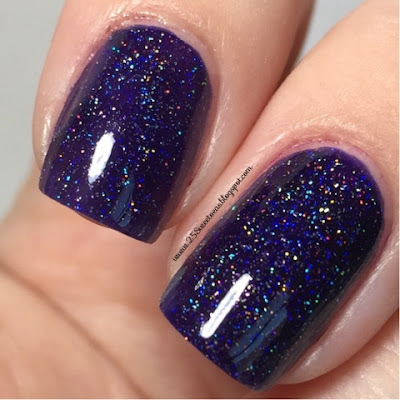 This polish is just to mesmerizing. I have actually had it on my left hand for about a week now! Overall I think ya'll can already tell that I love this polish! What about you guys? Anyone else need this one of have this one already?